Described by Patrick McCabe as 'maybe the truest depiction of Irish rural girlhood since Edna O'Brien's Girl with Green Eyes',Rebecca O'Connor's novel He Is Mine and I Have No Other is published by Canongate on 7 June. See her website for more details. The winner of this year's prize, judged by Daljit Nagra, is Natalya Anderson. The four shortlisted poems appear in the spring issue of The Moth, available to purchase here. The overall winner of �10,000 will be announced at a special award ceremony at Poetry Ireland on 26 April. Read here about the winners of this year's Moth Short Story Prize - Georgina Aboud, Faith Merino and Owen Booth. Bradley Wood, a New York-based artist, wins this year's Moth Art Prize. Co-director and editor of The Moth and The Caterpillar to publish debut novel He Is Mine and I Have No Other with Canongate spring 2018. The prize details remain the same, with 3 runner-up prizes of �1,000 and the shortlisted poems appearing in the spring issue of The Moth. Daljit Nagra to judge this year. Find out more here. Lee Sharkey wins �10,000 prize for her poem Dear Al. You can read all about it here. Join us as all four shortlisted poets read their winning poems and the overall winner of �10,000 is announced as part of this year's Ireland Poetry Day celebrations at Poetry Ireland. Free tickets available here. Event commences promptly at 6.30pm. This year's judge Deborah Landau reaveals her shortlist. The overall winner of the �10k prize will be announced on 27 April. Congratulations to this year's winners � Nikki McWatters, Sheila Armstrong and Kelly McCaughrain � who you can read about in the Irish Times and here. Their stories feature in the autumn 2016 issue of The Moth, available to purchase here. The Moth will be in the Word tent in Mindfield at 4pm on Saturday, where Will Govan will read the greatest hits from The Moth, Rebecca O'Connor will sing poems from her collection We'll Sing Blackbird, and the award-winning poet Daljit Nagra will read. David Piddock will spend a month at The Moth's new artists' residence and receive �1,000. His work adorns the cover of the autumn issue of The Moth and is also featured inside its pages. This year's winner, Abigail Parry, was awarded �10,000 for her poem 'Arterial'. You can read all about it in the Irish Times. The four shortlisted poems this year, chosen by judge Billy Collins, are by Natalya Anderson, James Leader, David McLoghlin and Abigail Parry. The winner, who will receive �10,000, will be announced at an award ceremony in Dublin on 13 April. The Moth is as much about art as it is about literature, and so to celebrate we have launched the Moth Art Prize. The winner will receive a �1,000 travel stipend and a month's residency at our new residential studio in rural Ireland. Richard J. Jones' philosophical tale for children 'Let's Say I Am' won the inaugural prize for stories written for children and is published in the winter 2015 issue of The Caterpillar. The Moth is very excited to have former US Poet Laureate judge this year's prize, worth �13,000. 'My Blue Hen' was chosen by Marie Howe as the winner of the Ballymaloe International Poetry Prize in 2014, and is justifiably shortlisted for this esteemed poetry prize. You can read all about our trials in tribulations in the Irish Times. Thrilled to announce Louise Greig's 'Don't Think of an Elephant' as the winner of the inaugural Caterpillar Poetry Prize. Lisa Bickmore presented with a cheque for �10,000 by Darina Allen at this special event at the Irish Writers Centre in Dublin. 7�9pm. The shortlisted poems appear in the spring issue of The Moth, which you can purchase here for �5 (including postage to anywhere in the world). Join us at the Winding Stair Bookshop on Ormond Quay in Dublin to celebrate the winners of this year's prize, from 7 pm onwards. The publishers of The Moth and The Caterpillar are looking for an outstanding poem for children written by an adult to which they can award �1,000. Closing date 31 March 2015. See www.thecaterpillarmagazine.com for more details. Rebecca O'Connor, editor of The Moth, in conversation with Maurice Riordan, editor of The Poetry Review, followed by a reading. See bodminmoorpoetryfestival.co.uk. 'The Lake's, which appears in her collection We'll Sing Blackbird, appears in the Forward Prize Anthology 2014. This year�s winners give a special reading at The Blackbird in Ballycotton, Co. Cork on Saturday 17 May from 7.30 pm. All are welcome to this free event. Portraitist Heloise Toop brings her expertise and experience to the Moth Studios for one weekend only. Saturday and Sunday 10am−5pm. The course costs �120 and places are limited. Contact enquiries@themothmagazine.com or call 049 4362677 to book. John McManus's A Lock of Fierce Roars is currently touring the country with Moth Productions. For further details click here. The judge, Billy Ramsell, will announce the winner at a special award ceremony on 8 September at the Mountains to Sea Festival in Dun Laoghaire. Rebecca will read, alongside the other shortlisted poets, at the Strong/Shine Award ceremony for best first collection. Event starts at 1 p.m.
John McManus's The Quare Land, in association with the Social Initiative and sponsored by the Cavan Institute, is currently touring GAA clubs throughout Ireland. For further details click here. Join Darina Allen and ourselves at Pete's Candy Store in Brooklyn to celebrate this year's prize, with prizes of �10,000, �2,000 and �1,000 for a single poem! Readings by Nick Laird, Catherine Barnett and this year's judge, New York State Poet Laureate Marie Howe. From 7pm. Check out details of competition here. A party at The Moth in Cavan to celebrate the launch of this new magazine for children (aged 7‒12). There'll be a wonderful sea-world exhibition by Kasia Zimnoch, funny readings by Tommy Sharkey and Will Govan, music, games, and sweets and treats. 3‒5pm. See www.thecaterpillarmagazine.com for more details. An intensive two-day workshop in portraiture in oils for beginners and those who have dabbled. See www.themothstudios.com for more details. A special prizegiving event at Ballymaloe Cookery School, with readings by the three winning poets and a selection of beautiful food from Darina Allen's kitchen. From 5‒7pm. Tickets available at www.cookingisfun.ie. Award-winning singer-songwriter and teacher, Abbie Lathe, will be giving a unique weekend workshop in singing. Bound to be an uplifting experience. Join us at the Moth to celebrate the launch of Rebecca's first full collection of poems with a short reading and drinks from 7.30‒9.30pm. An intensive one-day workshop with the author of the Irish Kerry Group Book of the Year 2012. For more details contact Rebecca O'Connor at editor@themothmagazine.com or call (0)49 4362677. The Moth will be hosting an arts and literature extravaganza at the Moth Studios in Cavan Town during the world's largest traditional Irish music festival, with live music, poetry, a 'Michael D. Higgins Prize' and art exhibitions. With live readings by featured guest writers Christine Dwyer Hickey, Rebecca O�Connor, Kit Fryatt and Billy Ramsell, this after-dark soir�e offers a relaxed and informal encounter with tomorrow�s established and rising literary stars. 9.30pm. Learn about the various courses and workshops on offer at the studios and enjoy a new exhibition of oil paintings by celebrated local artist Pauline Halton. Celebrations at the beautiful Grain Store at Ballymaloe House in Co. Cork, with readings from the judge Matthew Sweeney and the winning poets. 6‒8.30pm. Seamus O'Rourke's Victor's Dung, in association with the Social Initiative and sponsored by Calor, is currently touring GAA clubs throughout Ireland. For further details click here. Join us upstairs at the Abbey Bar to celebrate a year in the life of The Moth and the Second Floor Studios ‒ and the launch of the winter issue ‒ from 8pm till late. Christine Dwyer Hickey will read from her new novel The Cold Eye of Heaven, the elusive Robert McLiam Wilson will read something surprising, and poet and editor of The Moth, Rebecca O�Connor, will read a selection of her work and some of her favourite poems from the last six issues of the magazine. Afterwards stay for the swinging tunes of a stupendous Parisian swing band. From 7 p.m. onwards. Readings by Dermot Healy, Ted McCarthy, Kate Dempsey and Ciar�n O�Rourke. From 7.30pm onwards. Please do come along and celebrate this new venture with us. The editor of The Moth, Rebecca O�Connor, and Will Govan, the director of The Second Floor Studios, invite you to celebrate Culture Night at an open evening at The Former See House. Have your portrait drawn, sing along with musician-in-residence Cormac McCann, listen to poems by Rebecca O'Connor and enjoy a guided tour of the studios and Moth office. From 7‒9pm. The official launch, not to be missed. With readings by Eileen Casey, Anne Haverty and Gerard Smyth, all featuring in the summer 2011 issue of The Moth. From 7 p.m. onwards. All welcome. Talks will be given by Ciaran Carty, editor of New Irish Writing; Declan Meade, editor of The Stinging Fly; Rebecca O' Connor, poet and editor of The Moth; Jessie Lendennie, managing director of Salmon Poetry; Kevin Barry, short story writer and novelist; and Kevin Higgins, poet and co-organiser of Over The Edge Reading Series. Full details are available on their website. Catch this unique production at St. John's Theatre. For details of this and other performances throughout the country click here. If you're in Cavan then be sure not to miss this production of the award-winning writer's new play in which he takes the lead role. It runs for six nights in total, and tickets are still available at Multisound in Cavan Town on 049 4361312. Moth contributors Kate Dempsey, Tommy Murray and Seamus O'Rourke join us for an evening of poetry and wine-tasting - with fine wines from the Castillo Perelada winery in Spain and delicious canapes courtesy of Delish, Cavan's finest cafe. From 7.30pm onwards. The Moth takes flight in the UK with a launch party in London ‒ with readings by Annie Freud, Adam O'Riordan, Julia Bird, Derek Adams, Meryl Pugh, Todd Swift, Tim Wells and Moris Farhi. Admission free. All welcome. The Pitch, in association with the Social Initiative and sponsored by Calor, is currently touring GAA clubs throughout Ireland. The feedback so far has been tremendous. For more information click here. We're delighted to announce the launch of the Moth-Altun Short Story Prize. There's just one overall prize of �1,000 for a story of no more than 2,500 words, and the closing date is 31 March 2012. You can read all about it here. 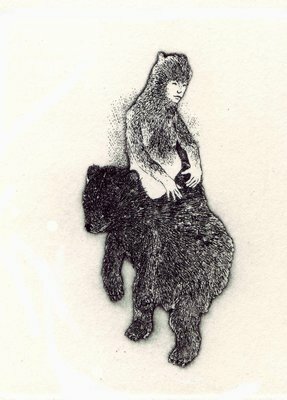 The Moth is launching a new series of miniature poetry books called 'moth editions', which will be published on 7 October (National Poetry Day in Ireland) 2011. The first four titles in the series feature work by Dermot Healy, Kate Dempsey, Ted McCarthy and Ciaran O'Rourke. They're available to purchase on our website and in select outlets. 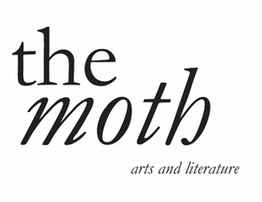 It's hard to believe, but the summer 2011 issue of The Moth will be on bookshelves in a few days from now (31 May). Our birthday issue! And to celebrate, we're launching the Ballymaloe International Poetry Prize. See 'Forthcoming Events' below for more details. Eileen Casey has just won the Hennessy Literary Award for Emerging Fiction. Her story, 'Put your Shoes on, Susie, We're Going out Tonight' featured in issue 2 of The Moth, and her poetry will feature in issue 5 (June 2012). The second leg of the Gonzo performance of Shane Connaughton's play The Pitch (with Connaughton himself playing the lead) takes place this Thursday 3 March. It will be touring Ireland in May and June, ending at the New Theatre in Temple Bar, Dublin. Click here for more details. We're delighted to say that The Moth is now stocked in several bookshops throughout London, including the London Review Bookshop. The London launch at Jimmy's Greek restaurant in Soho was a hoot, even if the PA system was banjaxed and the poets had to shout above the din.